We may be a little bit definitely completely biased when it comes to kart racers, but in our humble opinion the latest Sonic Racing game, Sonic & All-Stars Racing Transformed, was at least as good as the best entries in Mario Kart. Sure, it doesn’t have the legacy of the likes of Mario Kart 64, but the base gameplay was so good that it kept our rapt attention far longer than any recent entries put out by the Italian plumber. With the follow-up, Team Sonic Racing, due on May 21 of this year, there have already been a number of new additions announced, but some of the game still remains in question. So what are our picks for most wanted inclusions? For a start, we loved the range of characters available in Racing Transformed. Building from this, we would love to see an even greater extension of entries from other Sega classics and unrelated properties like we saw with Alex Kidd, Vyse, Nights, and Team Fortress. Ryo Hazuki would be a hilarious addition, as we’re sure his general level of confusion would make an exceptional fit for the carnage, and Wreck-It Ralph’s Vanellope would make a very well suited character choice, especially given Ralph’s entry in the prior game. 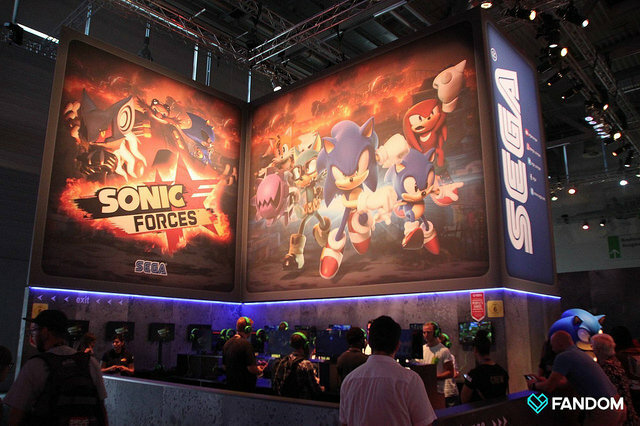 Sega could even go the same route as with Sonic Forces and give players the ability to create their own characters. In terms of online, which was a fantastic but utterly flawed addition to the earlier games, we would really appreciate the type of server browser that has unfortunately largely gone the way of the online dinosaur. Automated systems, as popular as they are today, have their uses of course, but at least in some way offer an opportunity for those of us who want a smoother experience to narrow down our options. In simple terms, modern automated systems tend to have little flexibility, and through this, they limit regional selection, which causes slower connections over longer physical distances. This is a big pet peeve of ours when it comes to gaming, but it doesn’t have to be. In many modern video games, this is annoying, but other forms of gaming like online casinos have easy to follow guides for players in local areas to guide users along. If Sega is going to keep using these automatic grouping systems, as it looks like they will, then maybe they could follow suit as casinos do in places like Canada. At the very least give us better sorting by region, as lag shouldn’t be an issue we have to contend with in modern gaming. And no, we aren’t just salty about losing in the last second because of trans-pacific lag. Not just, anyway. Our final want comes in the form of greater music selection from games in the 2D era. The 3D map interpretation of 2D spaces was so great in the other games that we have no doubt it will also be the case here, and the music inspired directly from these maps was similarly amazing. We have no uncertainty we’ll see success on this front, but we could really do with a greater selection of music and remixes from older games, even if they don’t have a map based on the zones from where these themes are drawn. The music in these older games stands up better than a lot of newcomers realize, and being able to create our own custom playlists to race to would be a dream come true. So what do you think of our list, and what characters, maps, or gameplay additions do you hope come with Sega’s latest Sonic Racer?